Auth0 is one of many providers that act as a Identity provider. 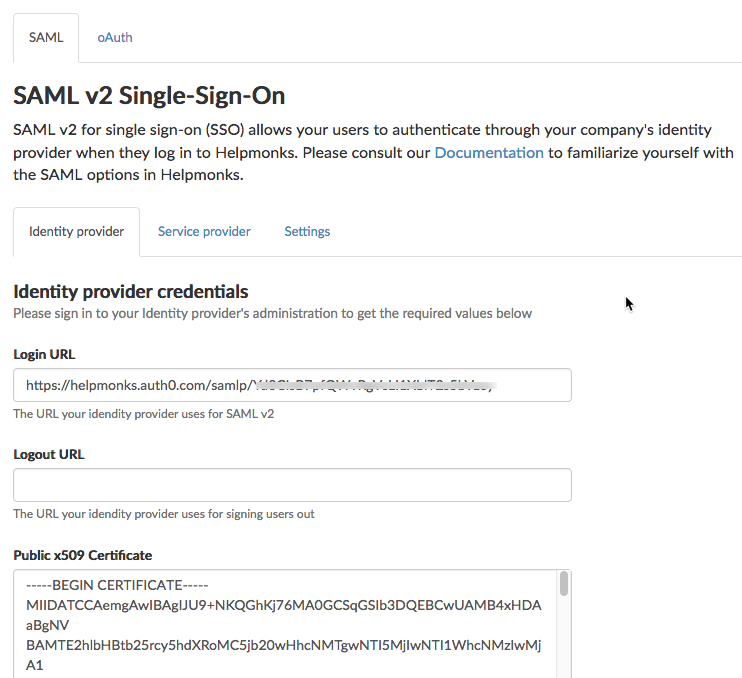 This guide shows you how to configure Auth0 to work with SAML v2 and Helpmonks to provide seamless single-sign-on. First we need to create an application to configure the authentication. Navigate to “Applications” and click on “Create Application”. Enter a name, e.g., “Helpmonks” and make it a “Machine to Machine Application”. Once created, navigate to the “Addons” and click on “SAML2”. 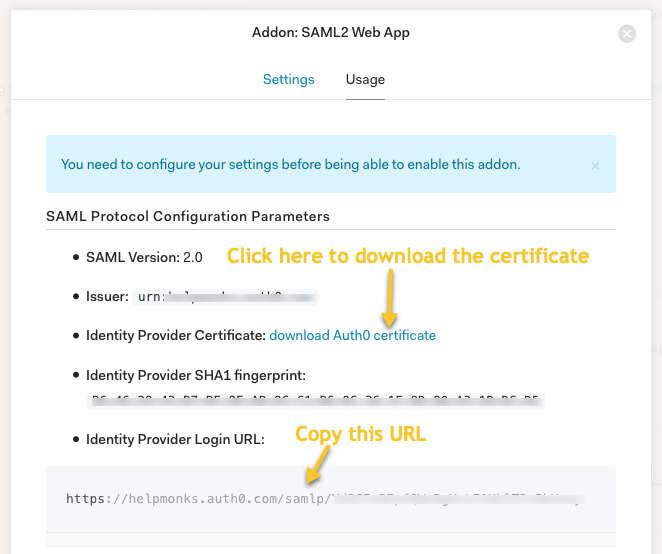 Still within the SAML2 window, click on “Usage” and copy the Identity provider login URL and download the Auth0 certificate. Then insert these two values into the Identity provider settings in the Helpmonks SAML plugin. Once the application is configured, you can just add a user to Auth0. Please make sure that the user has the same email address as a user in Helpmonks. By default you should already have an API configured in Auth0. 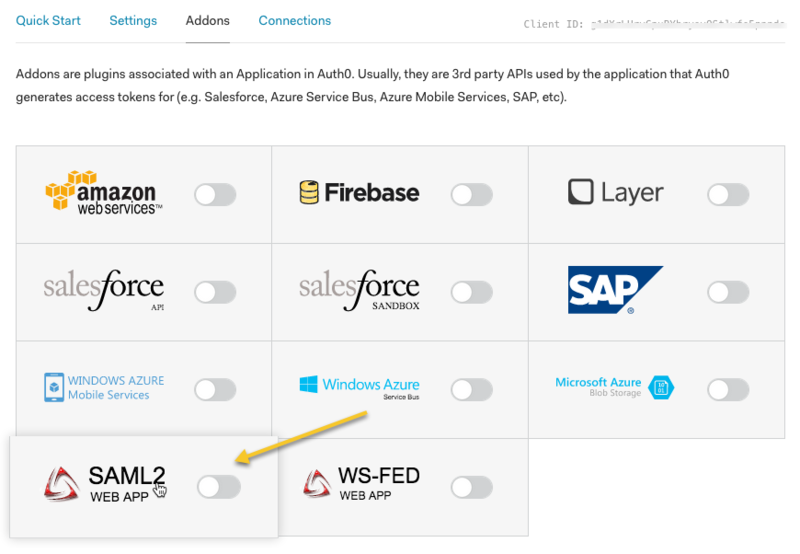 If SAML doesn’t work properly please check that your “Application” is authorized.